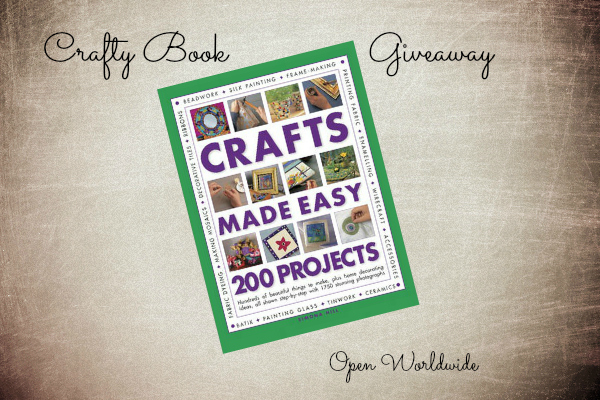 In this month's giveaway you can get your hands on a copy of Crafts Made Easy: 200 Projects by Simona Hill! This is the ultimate inspirational book for all craft enthusiasts - packed with 200 unique projects to make, plus home decorating ideas too! Congrats to Kate S. from Ireland! That's a hard one Birgit! My first passion is gardening and from that comes plants, flowers, wood etc. that I use to decorate my home and craft with.